Oh my goodness! thats awesome. I need some Twilight attire lol. That is pure skill. I wonder how long it took her? I like this girl and her ambition, but I'm not sure I like the result of her product, more the intent behind them. 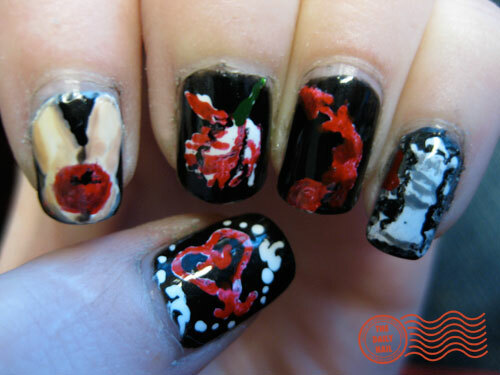 Although to her credit polishing any distinguishable picture on a nail is very hard. I scrolled through all her stuff, and she is sure giving you a run for your money Corinne!! !